With more than 60 newspapers to print, Journal Register Offset works hard to keep the pressure low and the quality high. You’ve seen it on television and in the movies and can easily envision the scene: an outrageously busy newspaper operation where dozens of editors and operators work around the clock to produce something that hundreds of thousands of customers will scrutinize day after day. To be sure, printing a daily newspaper is no easy task. Journal Register Offset prints five dailies JRO also prints 51 weekly newspapers and approximately 40 special sections each month and a number of commercial accounts. • "Best of Show" in 2006. 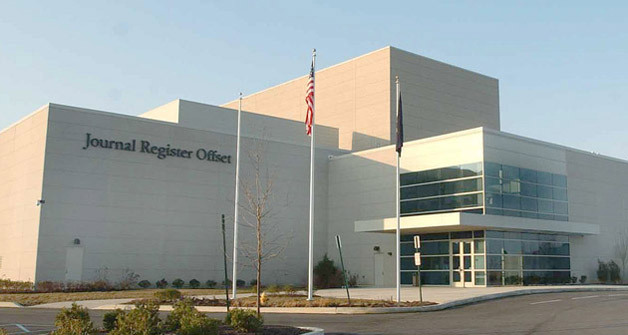 Journal Register Offset (86,000 square foot consolidated printing facility) is located in the Philadelphia suburb, Exton, Pennsylvania.